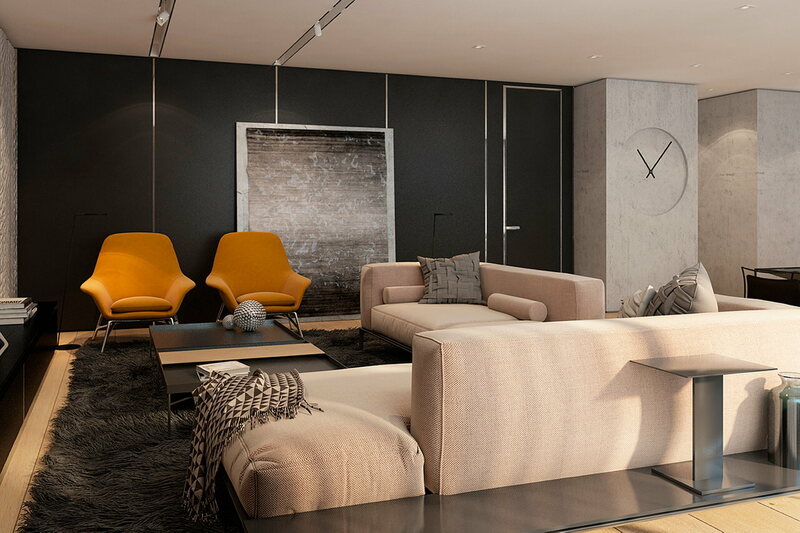 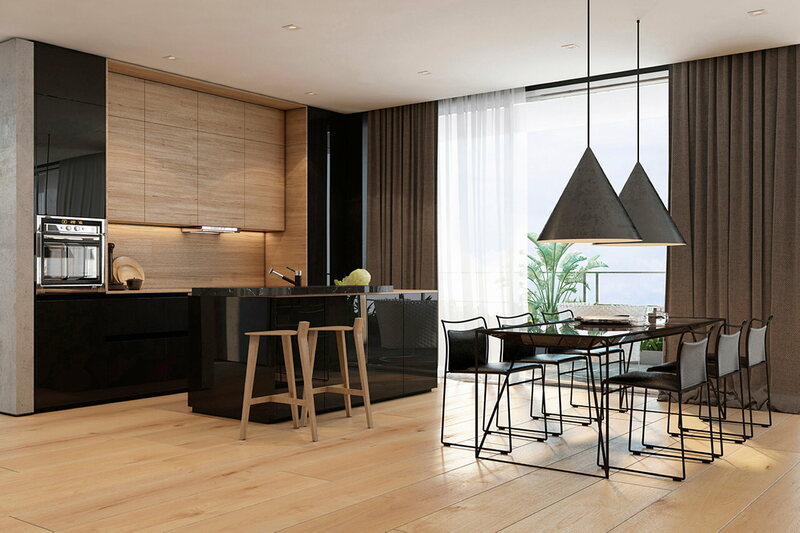 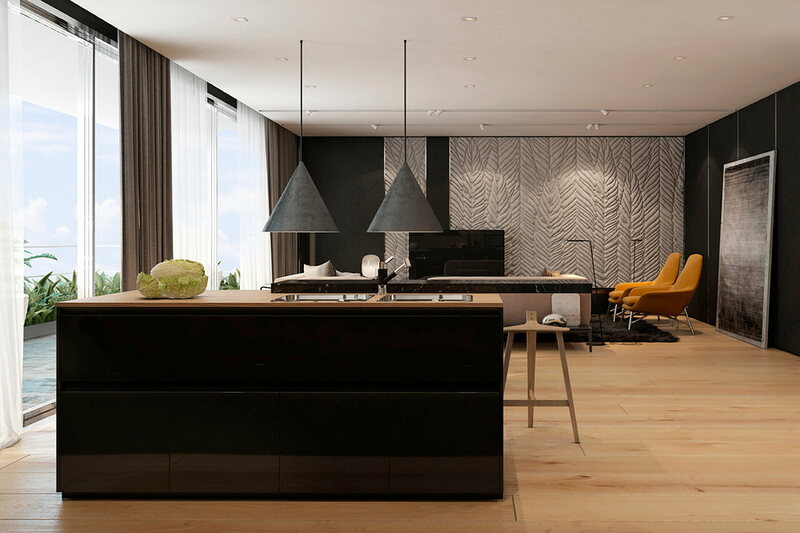 These luxurious apartments are located on the 26th floor of a modern building at the center of Tel Aviv (Israel). 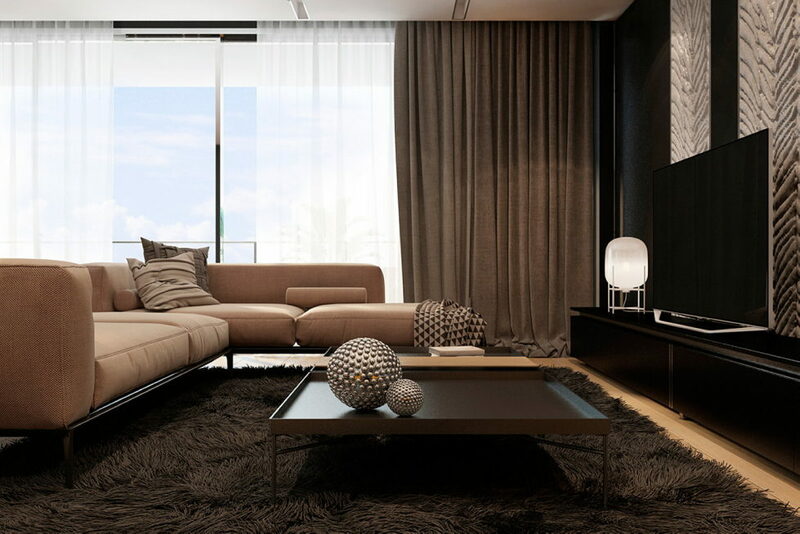 Large panoramic windows invite to enjoy the city view from every premise. 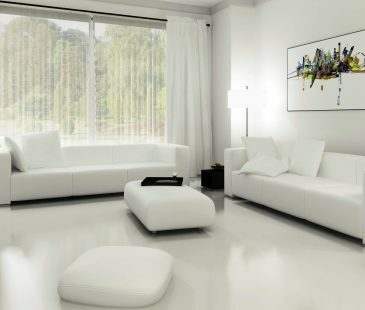 Spacious and elegant social zone united a living room, kitchen and dining room into one area. 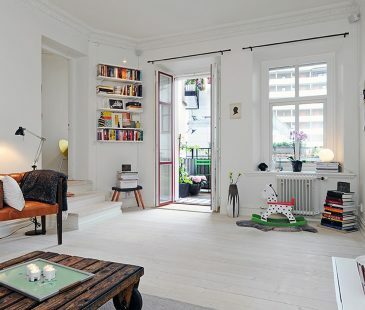 There is an entrance to the cozy terrace from the living room. 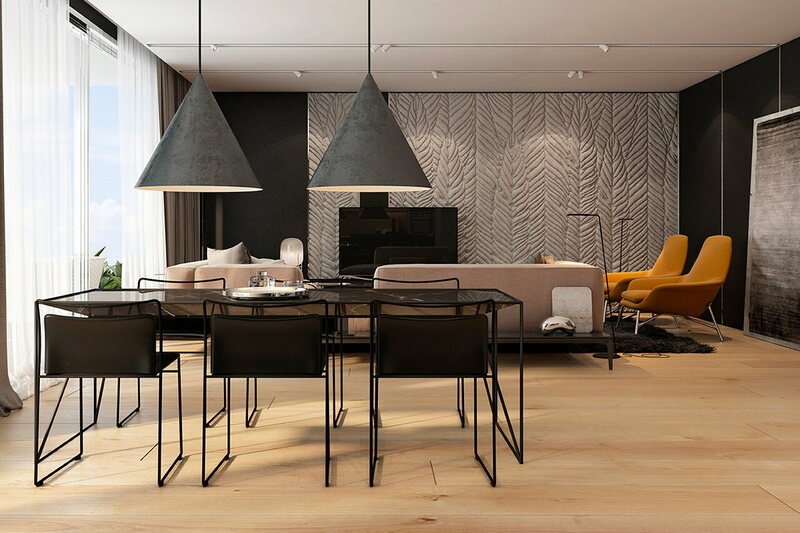 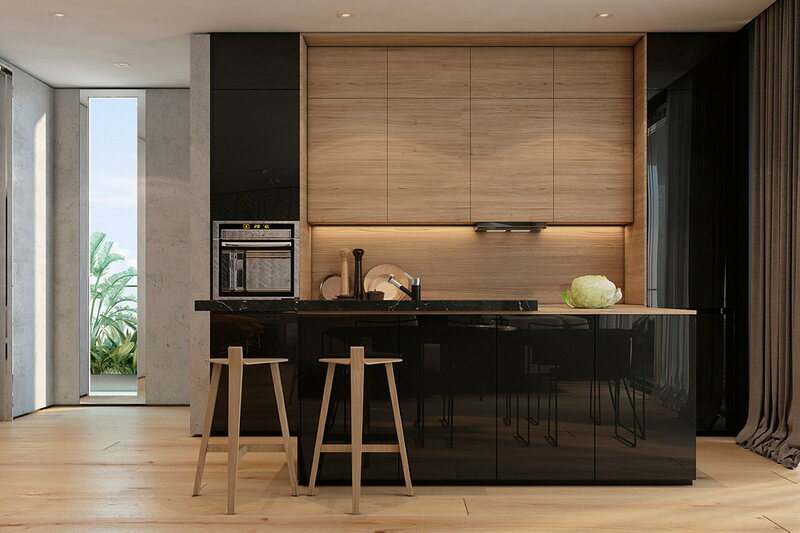 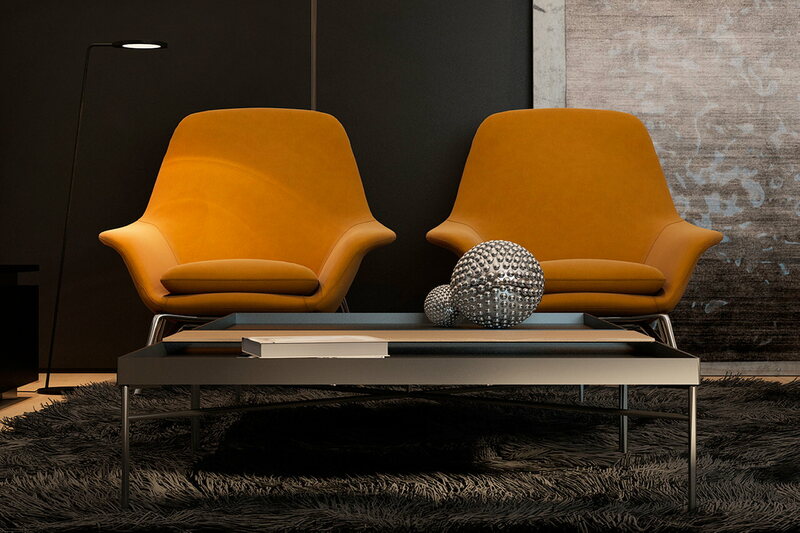 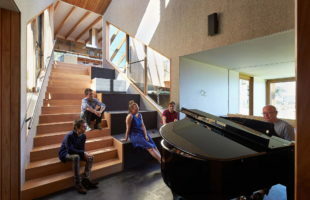 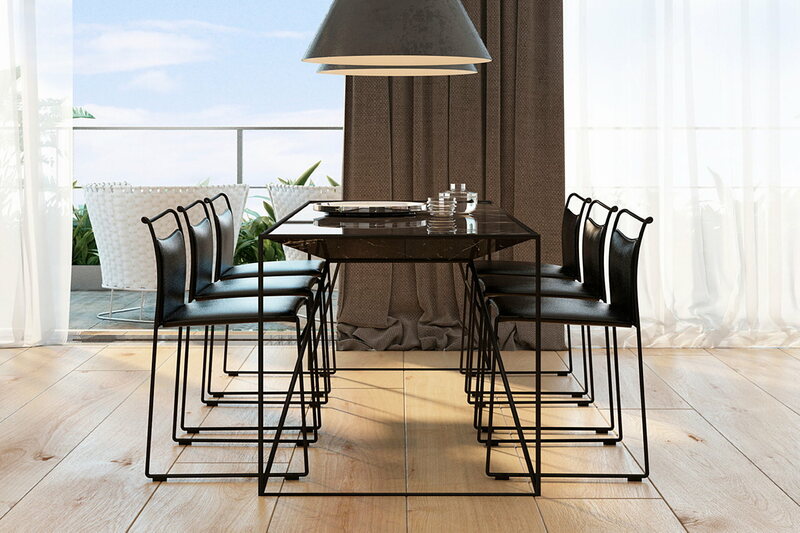 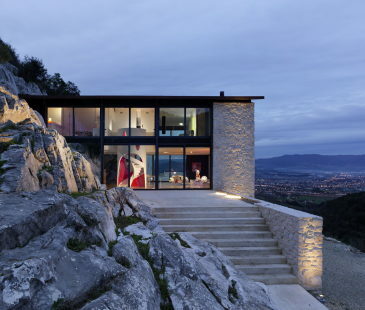 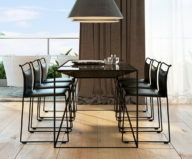 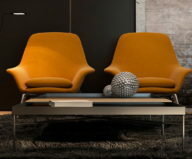 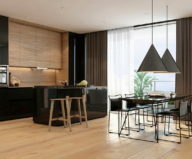 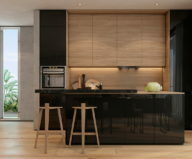 The interior is performed in contemporary style, has harmonic colour palette and contains such colours as graphite, black glance, light wood and concrete. 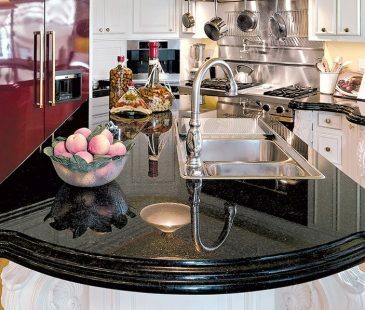 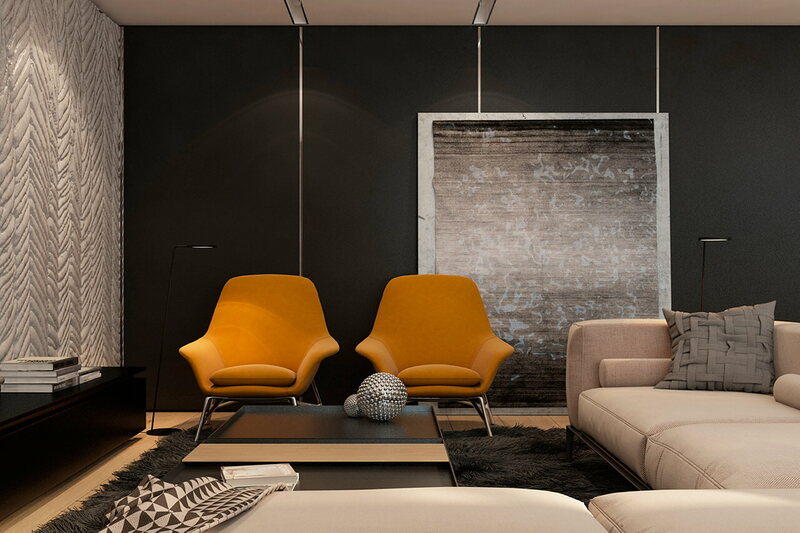 Prevalence of dark colour makes the interior more saturated and distinctive. 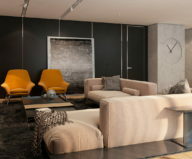 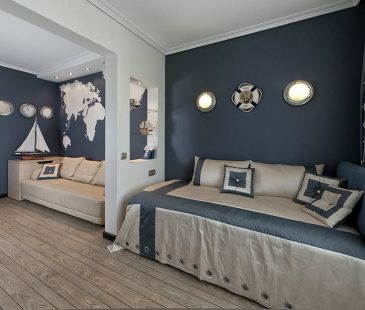 All interior`s details look stylish and eye-catching. 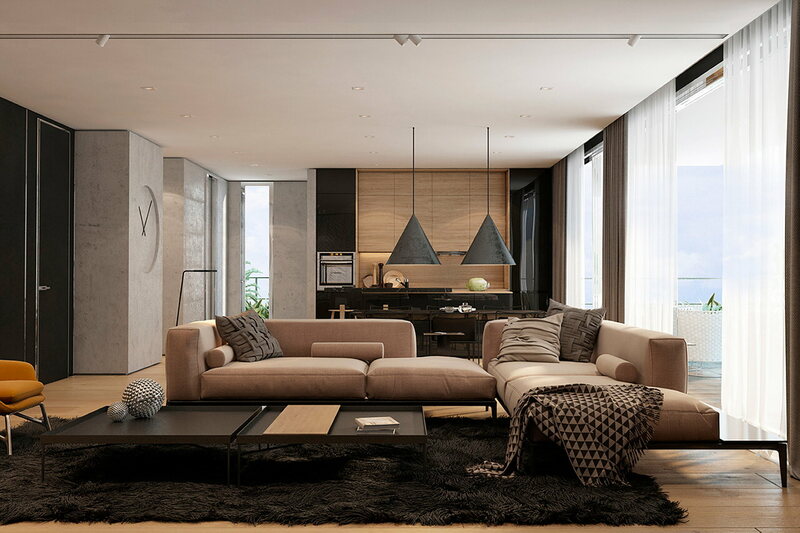 The sofa of warm beige colour, the carpet with long nap and curtains from ceiling to floor soften dark tinctures and fill the space with homeyness. 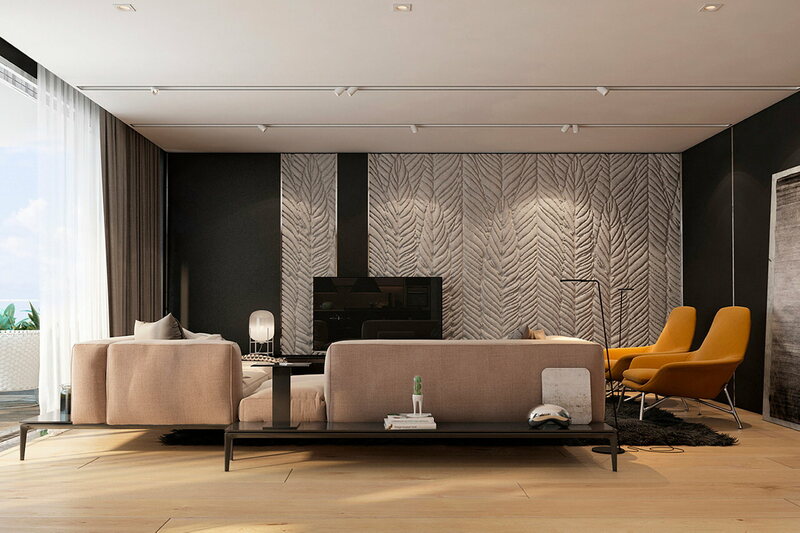 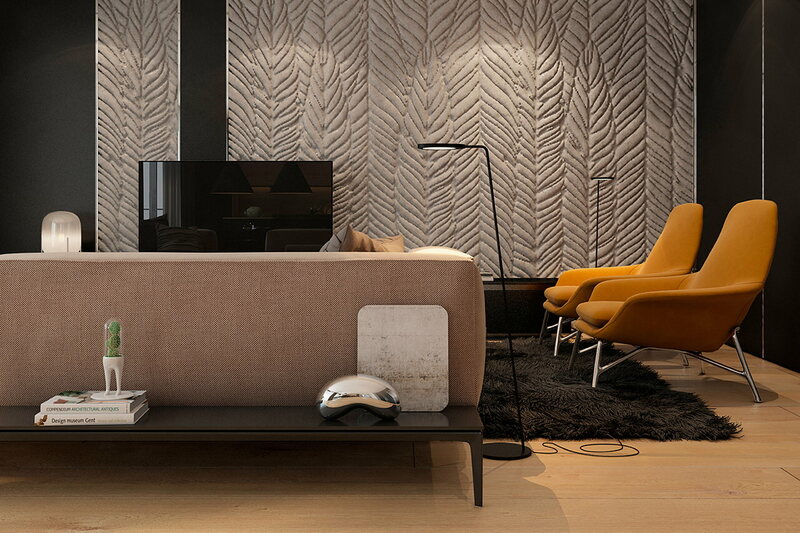 Embossed leaves inbuilt in the panel of natural stone accentuate individuality of this interior. The armchairs of mustard colour shift focus towards the sunny warm colours.